I AM ETHAN KEMPF, I CREATE SHARP ART. I am a Forged in Fire Champion! season 5 episode 7 the Polish Karabela. 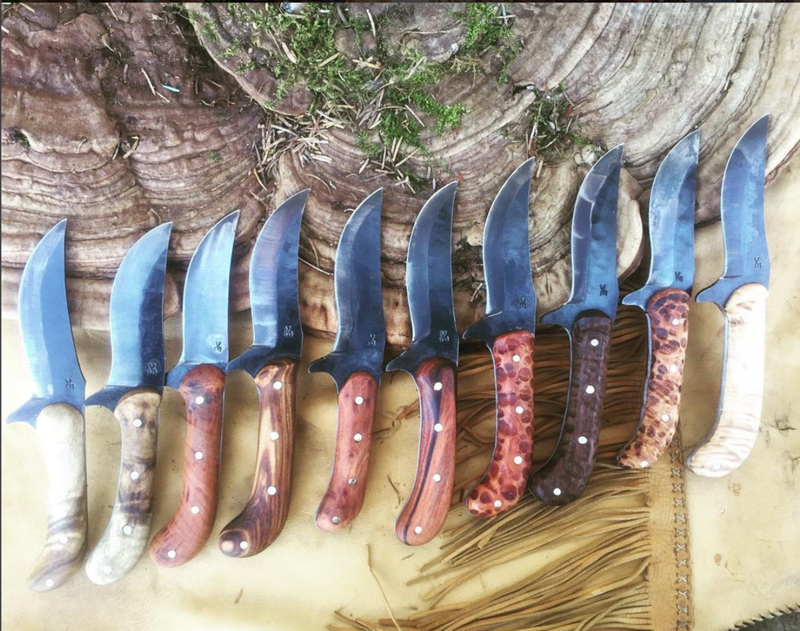 I am a freelance Blade smith based in the temperate rain forests of Shelton, Washington. Everything I create is by hand and sole authorship. Each Blade is an utterly unique piece of functional, high performance art, that will not, and can not be exactly reproduced. Each piece is painstakingly forged with hundreds upon hundreds of hammer blows and heat in excess of 2,000F. A Kempf blade will last generations with no decrease in performance with proper care. All of my blades are individually hand crafted. I strive for a balance of beauty and utility in my work. It is a labor of passion and love. Class topics include: Forge and shop safety, tool terminology and use, proper use and ergonomics with various tools, basic metallurgy and heat treatment (annealing, normalizing, quenching, tempering), basic forging techniques, basic grinding techniques, and more. 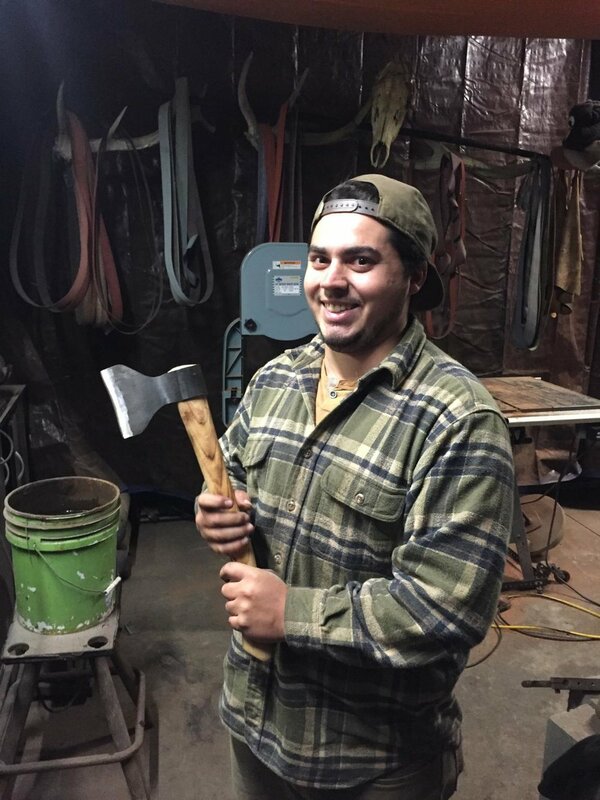 Tomahawk classes also include basic knowledge of forge welding. At the end of the class, the student can expect to walk away with a tool they forged themselves, and the knowledge to do it again. A bladesmithing class makes a fantastic gift, you're not just giving them an object, you're giving them an experience they'll remember for a lifetime. Zach, first time ever forging, made this excellent tomahawk! Damon picked up cable welding skills quickly! this dude can move some metal. Aaron forged a fine hammer here! on the holy day of the goddess of blacksmithing!